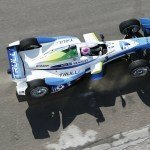 After a thrilling opener two weeks ago in Beijing, Formula E celebrates the second round of its sophomore season this weekend in Putrajaya, Malaysia. The teams and drivers have now all arrived in the Malaysian city ahead of what promises to be another enthralling race day on Saturday. 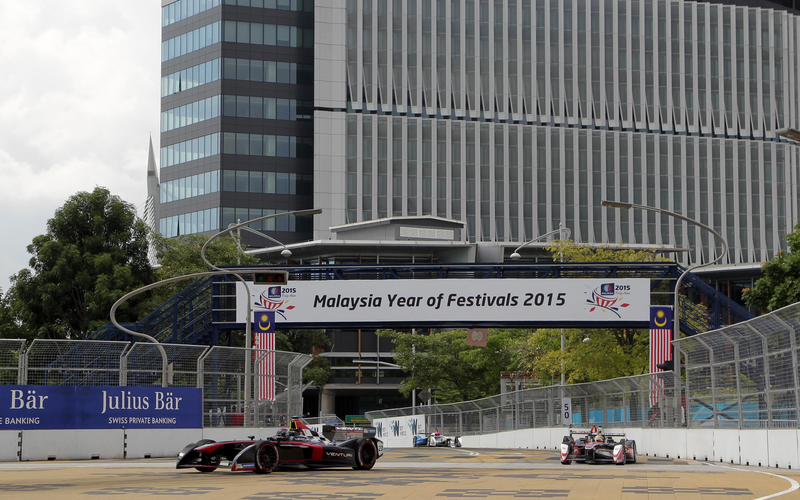 In this feature, we take a look at the track as well as the drivers and teams to watch ahead of the Putrajaya ePrix. 12 turns – including a tight first chicane following the long start-finish straight, a narrow hairpin (turn 10), and the final right hander (turn 12) which is wide and bumpy on entry but tightens at the apex. Qualifying begins at 10.00 (GMT+8) on Saturday 7th November, with the race starting later that day at 14.00 local time. There is only one free practice session, at 7:45 local time. After such a strong opening race in China, naturally Renault e.Dams with their drivers Sebastien Buemi and Nicolas Prost must be considered among the favourites. Buemi finished third here last year. ABT Schaeffler Audi Sport and Dragon Racing will also be confident after their Beijing outings, with di Grassi (ABT) having scored a second place in Putrajaya in 2014. Race winner last year, Sam Bird, will look to bounce back after a mixed race in Beijing – while all eyes will be on reigning champion Nelson Piquet Jr, and whether his NEXTEV TCR team can make a step forward from Beijing. After Jacques Villeneuve, Nathanael Berthon and Robin Frijns all made their Formula E debuts in Beijing, there are no drivers making their first starts in the series on the streets of Malaysia. However eight drivers will be making their first appearances in Putrajaya, including Jean-Eric Vergne (DS Virgin Racing) and Loic Duval (Dragon Racing). Additionally, Trulli Formula E make their first appearance of the season after missing Beijing due to customs issues.